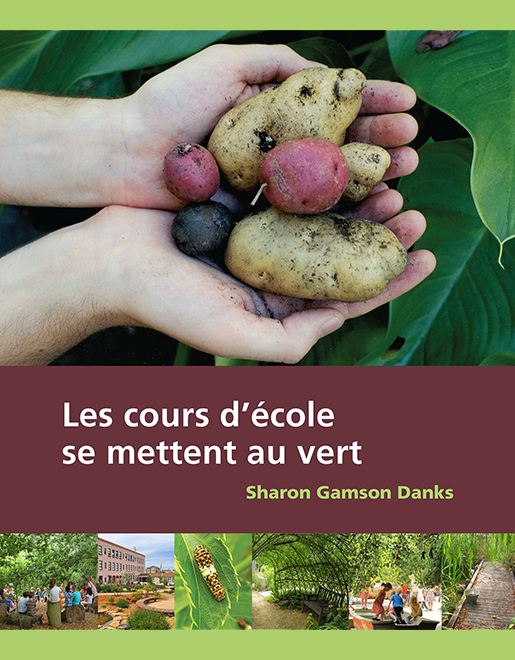 Green Schoolyards America's CEO, Sharon Danks, wrote a comprehensive, award winning book on transforming ordinary asphalt and grass schoolyards into vibrant ecosystems that promote hands-on learning, creative play and neighborhood ecology. Filled with lively, colorful pictures, this book is a great way to persuade your school or district to start greening their grounds--or to add depth and breadth to a schoolyard project that is already started. We encourage you to begin exploring this book by reading the free excerpts below. By Sharon Gamson Danks, New Village Press, 2010. Asphalt to Ecosystems is a compelling color guidebook for designing and building natural schoolyard environments that enhance childhood learning and play experiences while providing connection with the natural world. The book includes 500 color photographs with outstanding examples from 150 innovative schools in 11 countries. It is written for parents, teachers, students, designers, planners, school administrators, environmentalists, and other interested community members. 288 pages. Click here to purchase a copy of Asphalt to Ecosystems from our nonprofit publisher, New Village Press. "Ecologically Sensitive Materials for Schoolyard Landscapes"
Table of Contents, Introduction, Chapter 1.